Cody Willoughby | AIM Media Midwest Matt and Alaina Giblin, of Troy, examine findings under a microscope during Family Science Night on Thursday at Heywood Elementary. Cody Willoughby | AIM Media Midwest Fifth graders Camelia Rossiter and Cora Coate monitor water measurements during Family Science Night on Thursday at Heywood Elementary. Cody Willoughby | AIM Media Midwest Donald and Xavier Chaves, of Troy, look at slides through a microscope during Family Science Night on Thursday at Heywood Elementary. Cody Willoughby | AIM Media Midwest Ellie and Thomas Roberts, 7 and 4, build homemade periscopes with Zach Roberts during Family Science Night on Thursday at Heywood Elementary. TROY — Students of Heywood Elementary raptured in the joys of science, technology, engineering, and mathematics during the school’s Family STEM Night event on Thursday. The event was open to students and their families. Throughout the evening, students and their families were able to move through six stations, which chronicled lessons on reflection, refraction, lenses, and eyesight orientation. Participants were able to conduct such activities as laser refraction with mirrors and construction of homemade periscopes. 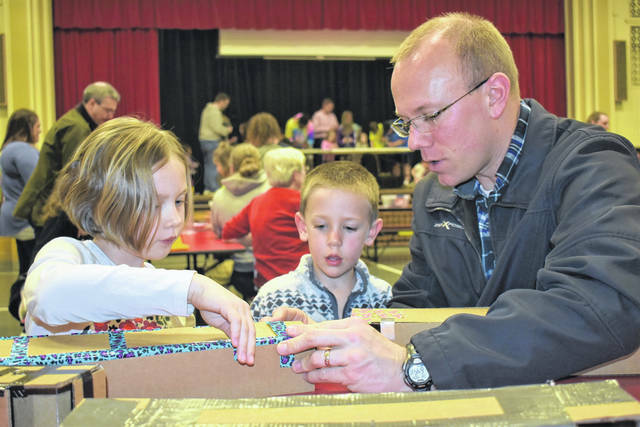 Stanislaw admitted that Family STEM Night is rewarding due to its hands-on parent involvement. Family STEM Night is sponsored by the PTO, Troy Honda, and Ohio CAT. 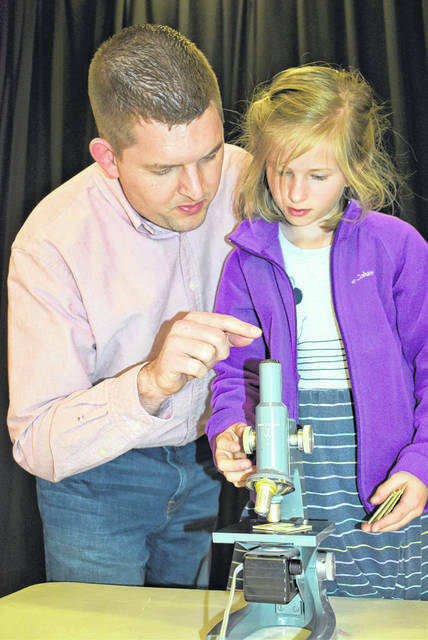 https://www.tdn-net.com/wp-content/uploads/sites/21/2019/04/web1_HeywoodScience2.jpgCody Willoughby | AIM Media Midwest Matt and Alaina Giblin, of Troy, examine findings under a microscope during Family Science Night on Thursday at Heywood Elementary. 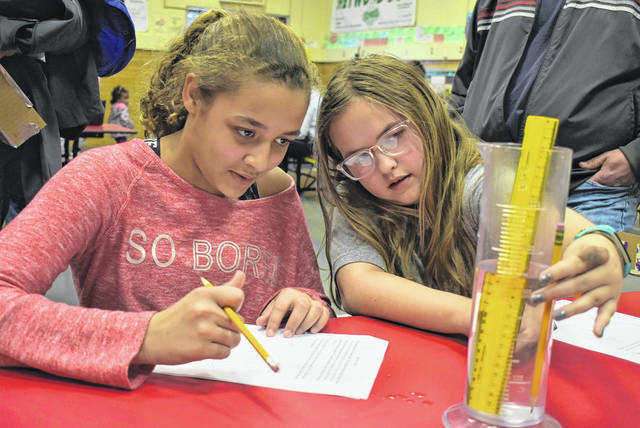 https://www.tdn-net.com/wp-content/uploads/sites/21/2019/04/web1_HeywoodScience4.jpgCody Willoughby | AIM Media Midwest Fifth graders Camelia Rossiter and Cora Coate monitor water measurements during Family Science Night on Thursday at Heywood Elementary. 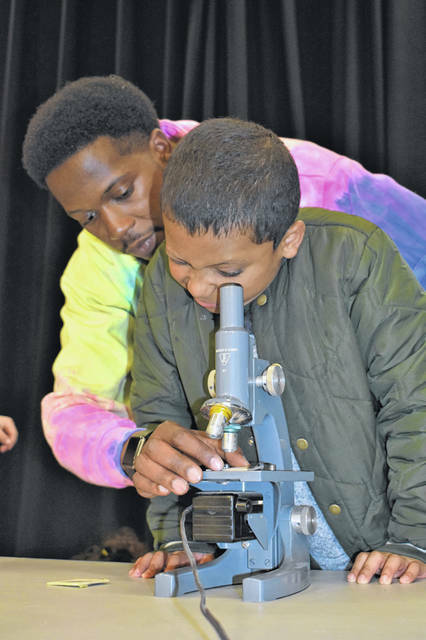 https://www.tdn-net.com/wp-content/uploads/sites/21/2019/04/web1_HeywoodScience1.jpgCody Willoughby | AIM Media Midwest Donald and Xavier Chaves, of Troy, look at slides through a microscope during Family Science Night on Thursday at Heywood Elementary. https://www.tdn-net.com/wp-content/uploads/sites/21/2019/04/web1_HeywoodScience3.jpgCody Willoughby | AIM Media Midwest Ellie and Thomas Roberts, 7 and 4, build homemade periscopes with Zach Roberts during Family Science Night on Thursday at Heywood Elementary.